Susan Dixson, MAI graduated from Florida State University with a Bachelor of Science Degree in Chemistry and Biochemistry and has been working in the real estate industry for over fifteen years. Susan is a state-certified general appraiser (RZ2601) licensed in Florida. She is also a member of the Appraisal Institute and holds the MAI designation. Susan enjoys spending time with her husband and two children. 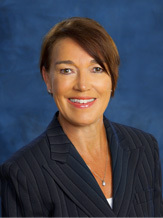 Susan can be contacted at ssdixson@cuervorealestate.com or extension 3. 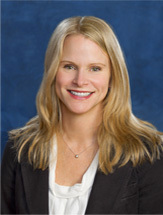 Julie Corrance, MRICS has been active in commercial real estate for over twenty eight years. Julie is a state-certified general appraiser (RZ3361) licensed in Florida and a Member of the Royal Institution of Chartered Surveyors (MRICS). In addition to real estate appraising, she has extensive experience in commercial brokerage, real estate development and portfolio management in both the United States and Europe. Julie, an avid runner and yoga practitioner has a Bachelor of Arts Degree in Physical Education from the University of Leeds, England. Julie can be contacted at jecorrance@cuervorealestate.com or extension 2. ©2019 Cuervo Real Estate. All rights reserved.